When a couple breaks up and starts dividing their once-shared belongings—I’ll keep the TV, you keep the cat, etc.—some items will inevitably get lost in the shuffle. It could be a stack of CDs, some matching mugs, or even a series of Spider-Man movies. It happens to every couple, even a couple that is just a team of screenwriters who decided to stop making movies together. That’s what Roberto Orci and Alex Kurtzman did back in April, effectively ending one of the greatest writing duos in all of Hollywood—at least in terms of quantity. Together, they made Transformers, Star Trek, and The Amazing Spider-Man 2, but with J.J. Abrams moving to Star Wars, Orci chose to take over for him on Trek and Kurtzman decided to stick with Spidey and make a spinoff about Venom. The problem—as pointed out by IGN—is that this left the eventual Amazing Spider-Man 3 without an Orci or a Kurtzman, which is a nearly insurmountable challenge for a big-budget blockbuster to face. 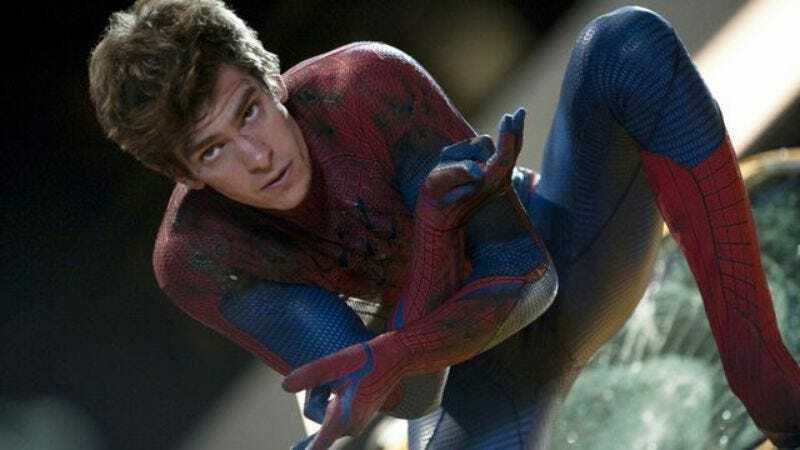 “I don’t ever want to say never,” Orci said of returning to the Amazing Spider-Man series, “but we have to figure out what their scheduling is in terms of when they want each movie.” The “they” in that sentence is Sony, which holds Spider-Man’s movie rights, and the fact that Orci doesn’t know what it wants to do suggests that Sony itself doesn’t know what to do. That means it might be a while before we see Amazing Spider-Man 3 or any other Spider-Man-related movies. This is of particular interest to Marvel and Disney, because they can start fighting to get the Spider-Man rights back if Sony sits on them too long. It’s the classic spoiled child’s tactic of pretending to play with a toy just so some other kid can’t have it, which is only a step or so away from either licking it so nobody else wants it or breaking it on purpose. Considering that people still wanted to see Spider-Man movies after the one with emo haircuts and dancing, we don’t think the last strategy there will work too well.